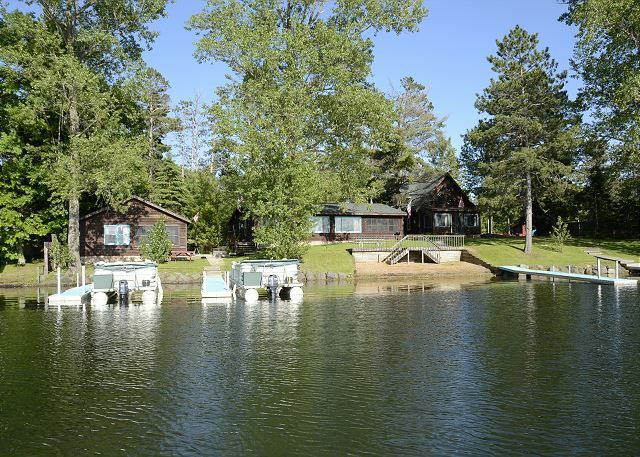 Pontoon included!Two-bedroom deluxe with two queen beds, lake front on Big Round, single story, one bath with Jacuzzi tub and shower, two gas fireplaces. The cabin was perfect and all we could have asked for for a great girls weekend. 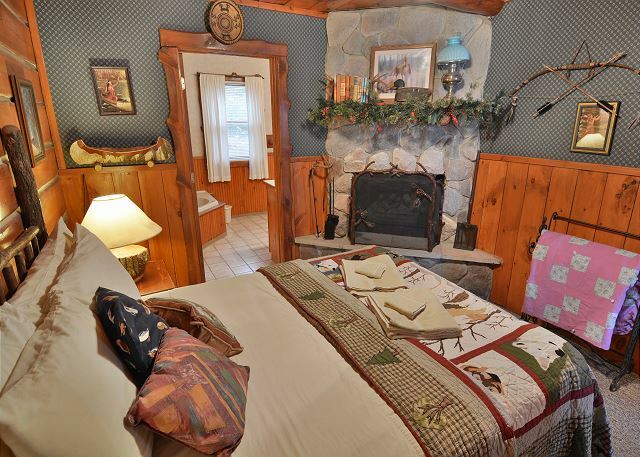 It was spacious, clean, well decorated, comfortable and relaxing. 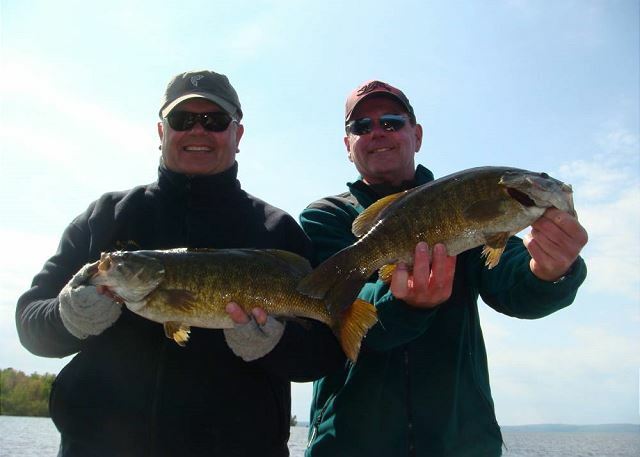 The ice fishing guide did a great job and the restaurant on site had excellent staff and food. I’m still craving more of the walleye fingers with dipping sauces. The resort staff were friendly and we would definitely return in the future. CABIN 1 HAS NEW UPDATES & IMPROVEMENTS!! 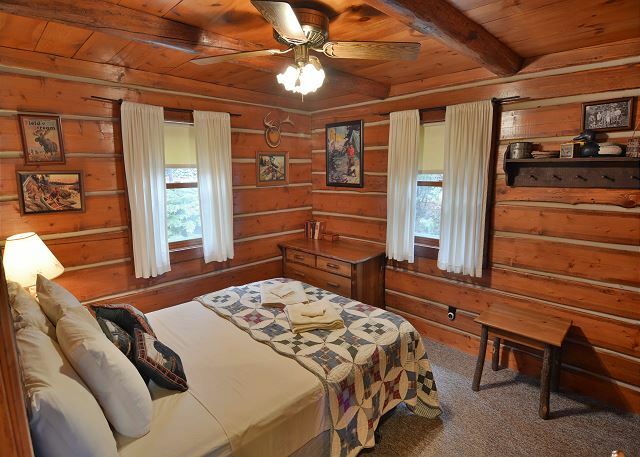 Grand pines always has great cabins that are cozy. Bed was excellent! 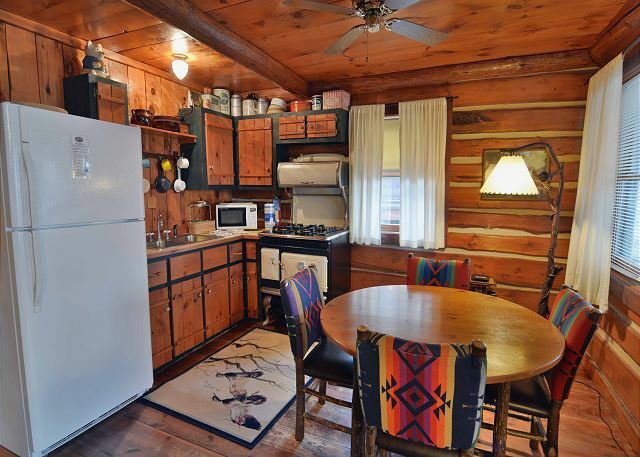 Our 2-bedroom cabin was spacious, had a nice layout and was generally in good condition. 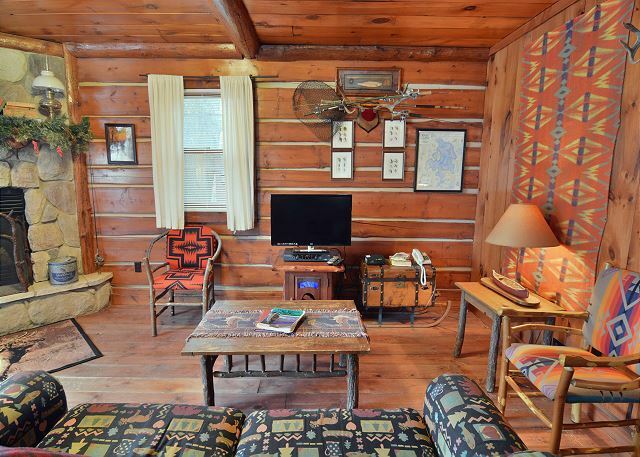 The gas fireplaces added to the northwoods feel. 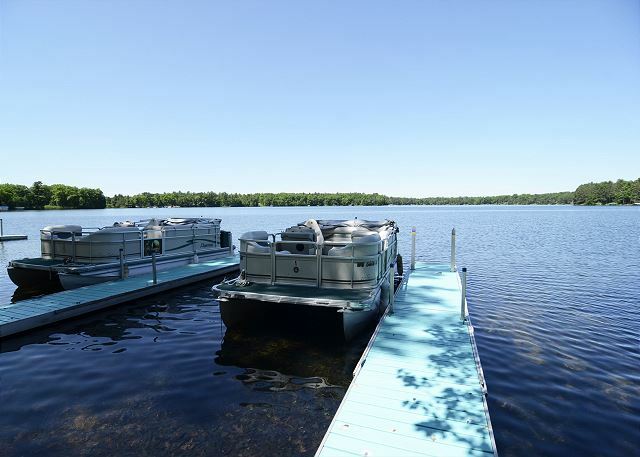 Loved the concept of a pontoon for each cabin and our pontoon worked well on the beautiful Round Lake. Easy access to Hayward's restaurants and shopping. A two minute walk to the Prop's Landing patio, a great place to take in a sunset over drinks. The only complaints were that (i) the mattresses were lumpy and uncomfortable, and (ii) the hide-a-bed that doubles as the main couch was extremely uncomfortable for sitting. Would recommend that the office's hours be extended a bit, as 9-5 means guests are using prime lake time to tend to anything involving the office/store. James B from Indianapolis, Indiana does not recommend this vacation rental. Nice cabin and pontoon. Bad beach and very close to neighbors. We liked the cabin and pontoon but the beach was not at all nice. My husband found a four inch nail in the sand although it's a stretch to call it sand. It was more like a dirty, rocky surface not to mention tiny. Our kids had to wear shoes all the time. 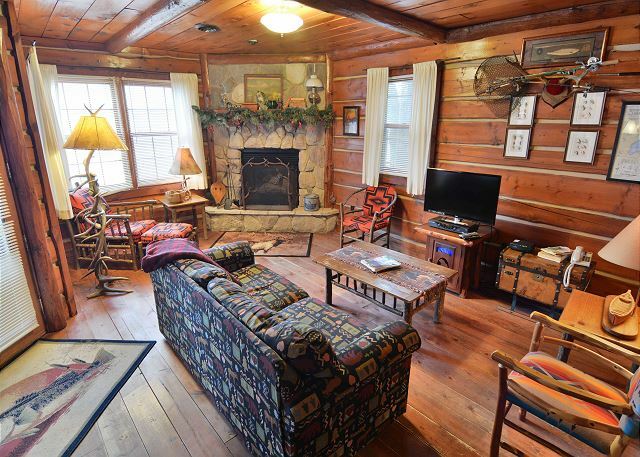 We stayed in cabin 1. It was spacious and nice. It has a lovely screen porch. We moved some furniture out there to be able to eat and sit out there. The furniture that was there was tiny and flimsy. Management was great when the hidabed was in terrible shape. The couch was replaced almost right away. 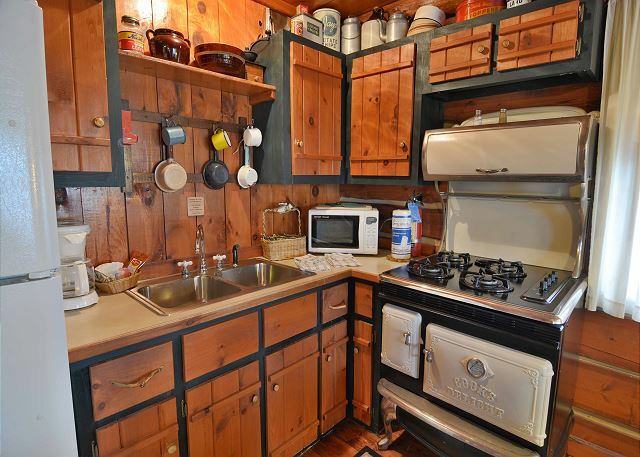 a guest from Crestwood, Illinois does not recommend this vacation rental. Great stay. As always for decades. Great cabins. Great location. Only downside is the check-in time. Why is check-in time at 4pm? Check-in time was never at 4pm before! If my family could rate the check-in time 1 star, we would. Paying for a full day and to check-in so late is very, VERY dissatisfying. We come to Grand Pines mainly for the fishing. If we check-in at 4pm, which means 15-20 mins of paying our final balances and completing paper work & going over rules at the office...half hour later is when we show up to our cabin. THEN it generally takes about 30-40 mins to unpack food/home supplies/fishing gear. We finally get onto our pontoon an hour later at 5pm.. With maybe 4 hours of fishing light left. No one was happy about that. Why pay for that full day?? I don't think so. Sorry. THEN, CHECK-OUT is at 9am??! Especially if someone was staying for only 3 days? I've had family & friends stop coming to Grand Pines for that reason. With that said, one star for that reason, too. Cabin was very clean and comfortable. Cabins 1,2,3,and 4 are somewhat on top of each other, so not great if you are going for a peaceful vacation. Overall our experience was wonderful. The furniture in the living room could be updated though. Excellent time with family in three cabins at grand pines. Staff is great including maintenance. Cabins are clean and new restaurant was nice and quiet at night. I highly recommend this vacation spot. Might need some new pontoons for one and two. Great place for a family vacation. Staff is super nice and helpful. Cabin and pontoons are top notch and Round Lake is awesome!! 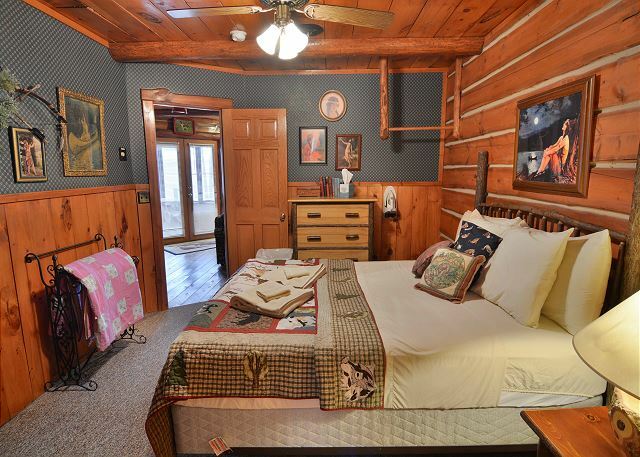 A beautiful location to spend a few days and the cabin was furnished very tastefully. 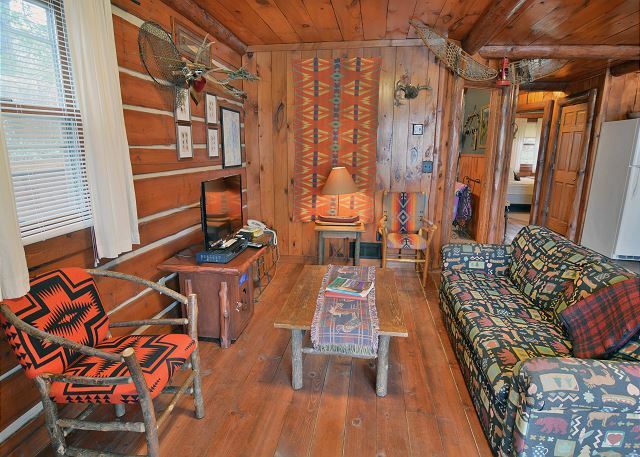 Great cabin feel.